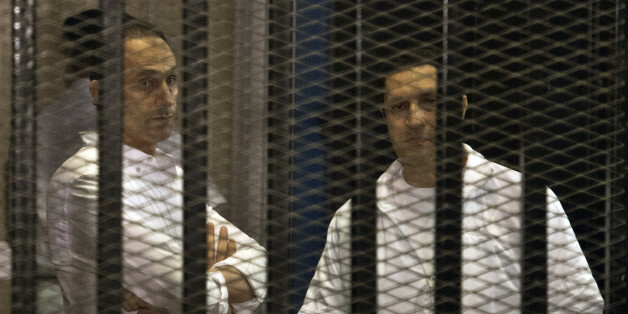 Egyptian media continue to reel from news of mega-corruption permeating the ranks of former officials from the government of ousted President Hosni Mubarak, with key figures jailed and awaiting trial. The ax is falling and heads are rolling in Egyptian media to rid once stodgy state-run organizations of deadwood noted for hampering professional and balanced news reporting. Wael Ghonim's honor and honesty stands in stark contrast to the callow smear campaign escalated this week by the Mubarak regime against Tahrir Square's democracy protesters. I believe the Egyptian people have won a huge battle, and are on the verge of winning what has turned into a war. Egyptians today are not comparable to Egyptians on the morning of January 25. Arab youth are demonstrating against their old authoritarian regimes in masses for the first time in recent history. Murmurs abound that Mubarak's regime is in its final throes, and repeatedly cracking down on protest are signs of the beginning of the end. Despite all the U.S. has done for Egypt, it may not matter what we say or do in the long run. Events are running at warp speed... too fast for Washington. Egypt Is Holding Elections: Will They Matter? As unexciting as the results are likely to be, the elections are important for other reasons, particularly for what they tell us about the critical players in Egypt's uncertain future. Noted, controversial media figures critical of the Egyptian regime are being sacked ahead of legislative elections in November. As currently structured, this latest peace process really does resemble the movie that we've seen before -- the one with the unhappy ending. If Obama doesn't deliver significantly, disillusionment and anti-Americanism will increase among the very people who were euphoric at his election. These and many other counts of corruption and abuse of power have managed to give "liberal" policies a bad name amongst Egyptians, who now think that Liberalism is equal to nepotism. President Obama's speech was well-received on the Egyptian street, but retracing the President's path through "the timeless city of Cairo" quickly reveals that change will be hard to come by. Engagement through new diplomatic avenues, like Obama's video to Iran, is worthwhile, but we must not lose sight of the challenge Iran still poses. Press freedom in Egypt is a minefield, but there is freedom to commit suicide through the media, said Ibrahim Essa, an outspoken Egyptian journalist who faces 23 lawsuits for daring to skewer his country's regime.